Rainscreen Attachment Systems - A. L. Harding & Co.
Rainscreen attachment systems are made up of fasteners and sub-frame components that connect the exterior components of a building directly to the interior framing. The shortfall of metal fasteners is that they create thermal bridging. Because metal is a good thermal conductor, thermal bridging occurs when these components create a path of least resistance allowing heat to escape in the winter, and cold to escape in the summer. Rainscreen attachment components fabricated from non-conductve glass fiber reinforced resin composites such as the SMARTci System manufactured by Advanced Architectural Products, (AAP), eliminate thermal bridging as well as condensation, and are structurally stronger than steel. Zero thermal bridging composite rainscreen attachments systems are environmentally friendly, create significant energy savings, and reduce carbon emissions. Universal Attachment Components To Accomodate Various Claddings. Eliminates cold spots preventing condensation. Can Be Used Over Multiple Surfaces. Enables use of rigid insulation up to 4 inches. Fewer Parts Than Other Systems Allowing For Quick Installation. Open and Closed Framing Applications. Zero thermal bridging composite rainscreen attachment systems are environmentally friendly, create significant energy savings, and reduce carbon emissions. 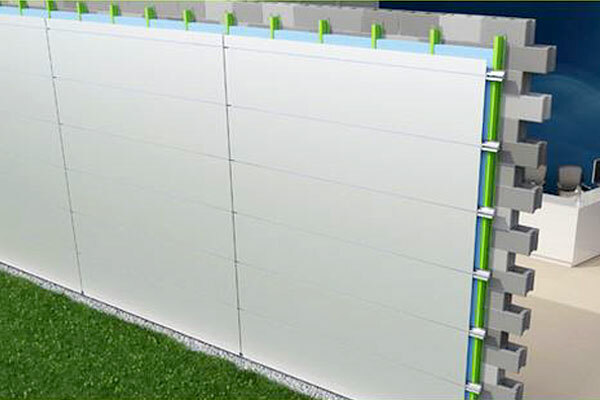 The SMARTci rainscreen attachment system is a complete insulation solution. It utilizes non-thermal conductive composite attachment members called Green Girt, that join the cladding and insulation to the building structure. the SMARTci is a universal continuous insulation system that accomondates various claddings, insulation types, and thicknesses, and can be installed over multiple substrates. 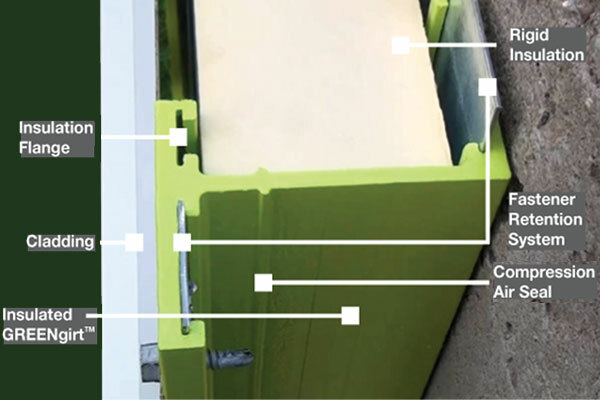 SMARTci's individual parts were created as a simple, complete solution to help create smarter buildings. The SMARTci system is environmentally friendly and is the best assembly in the industry to help earn points toward LEED certification. Air/Water/Vapor tight at 20 pounds per square foot. Force distribution loads FEA designed for optimal strength, (radii and variable thickness). Anti-syphon groove eliminating water migration into seams. Structural wind resistance up to 40 pounds per square foot. Naturally sourced bioresin and recycled glass materials. 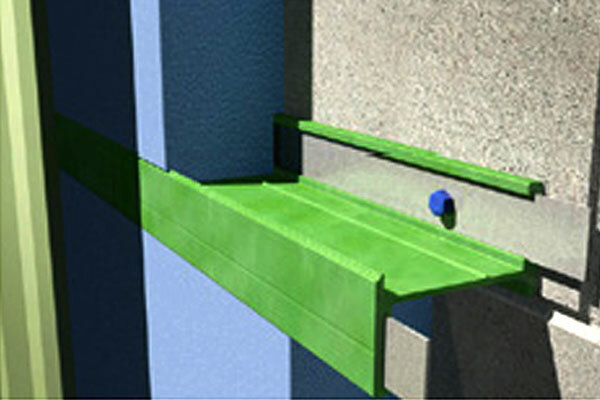 Passes ASHRAE 90.1 Zone specific barrier location. Passes and exceeds ASHRAE 160 specific design. ASTM E84 Fire Rating, UL94 VO, NFPA 285 Compliant. 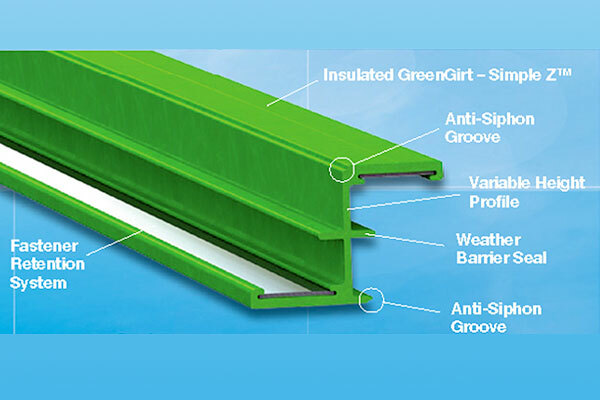 Why should I choose the SMARTci GreenGirt Universal Rainscreen Attachment System by Advanced Architectural Products? Based in Allegan Michigan, Advanced Architectural Products, (AAP), designs, engineers, and manufacturers with the goal of making buildings more eficient. AAP's SMARTci Systems have been implemented in aiports, ofice buildings, and institutional buildings around the globe. Its individual parts were created as a simple, complete solution to help architects design smarter buildings. The SMARTci system features a patented composite girt/attachment member system that has zero thermal short fasteners. Specially designed to block off heat gaps that other solutions leave, SMARTci's thermal efficiency makes it a long-term investment in your building. With many manufacturer's to choose from, the most important thing to consider is who will you be working with? The role of manufacturer's representative is crucial in being the liaison between the customer and the cladding attachment system manuacturer. Are they knowledgeable, responsive, and dedicated to your project? To get started on a project or learn more about rainscreen attachment systems, give us a call at 724-745-3001, or CLICK HERE to send us a message.